happy sunday in the summer! are you on summer vacation? or better yet, a sam-cation? is there a patio and cold drinks? maybe some live music? i hope so, ’cause that’s what i want for you. this post is a hot mess – kinda here, there, and everywhere – just like weekends in the summer always seem to be. we haven’t talked in forever, and there is much to talk about, so let’s do this! #tbt! it’s a two #tbt week! #tbtx2 the first is right here – sam and justin timberlake (god bless you, internet) at SARSstock. here’s a second throwback, ’cause why the heck not?! let’s throwback to sam’s 2004 trip to mexico with muchmusic to film a documentary on sweatshops. here’s a random screen grab of sam from director liz mars’ website. click here to stream the documentary and read more about his trip. lemme tell ya, there’s a whole lotta SRB awesome on the ol’ internet. i made us this list of links. they’re fun and i like them. when i find more, you’ll be the first to know. so! folk fest in regina next week! then tumbler ridge! 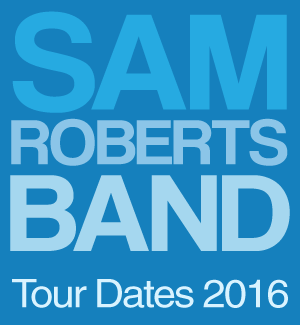 thank god, because i haven’t seen the SRB live in FOREVER, and i’m starting to get the shakes. if you see me, say hi! just look for the girl wearing the SRB shirt having THE best time ever, ’cause that’ll be me. 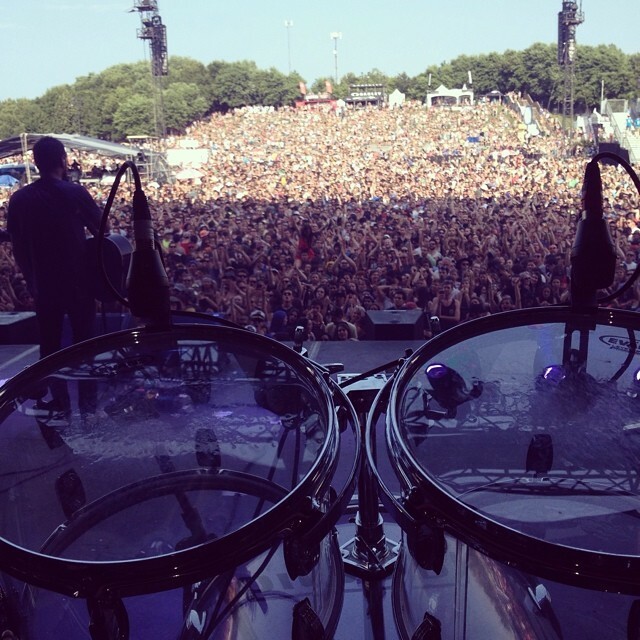 ps: this is what hometown heroes see when they play osheaga, courtesy of josh’s twitter. it’s getting lots of love right now. also, the SRB just hit fify thousand likes on facebook. congrats, the SRB! This entry was posted in news and tagged #tbt, charity, SARSstock on August 3, 2014 by annie. if the sam roberts band wore a uniform, it’d be a canadian tuxedo. obviously. this is a no-brainer. if you watch this borderline related, kinda relevant (stay with me, folks) clip of sam and dave’s visit to toronto’s indie 88, sam declares their devotion to denim near the end, and dave is appropriately head-to-toe. 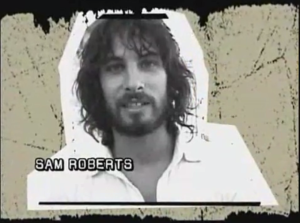 let’s throwback to 2004, when sam went to mexico with muchmusic to film the documentary ‘inside your threads’ to help raise awareness about the conditions in sweatshops, and the lives of people who work endless hours making jeans for north american consumers. if i wore a uniform, it would be an SRB t-shirt. exactly one-half of my closet is SRB t-shirts. (the other half, non-SRB band t-shirts). an SRB t-shirt paired with a cardigan is office wear, and don’ t let anyone tell you otherwise. if you were wondering . . . the last SRB t-shirt i added to my collection is american apparel. this is cool because a) american apparel brand t’s are easily the most awesome of all the band t’s, and b) no sweatshops. ‘inside your threads’ also features jully black and hawksley workman. the soundtrack features ‘no sleep’ and ‘the canadian dream,’ and you can stream the whole documentary right here. This entry was posted in #tbt and tagged #tbt, canadian tuxedo, charity on August 2, 2014 by annie.